Whether it’s composing essays for English class or writing as a hobby at home, Nathan Besse has always had an interest in writing. Due to his love for writing, he took gifted English for freshman and sophomore year to improve his writing abilities. 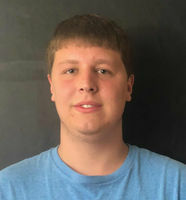 His senior year is his first year as a journalist for the McIntosh Trail and he is excited to write on some interesting topics throughout the year.